ASG CZ 75 P-07 DUTY and Dan Wesson 6 & 8 inch Revolvers coming soon! "The CZ 75 P-07 DUTY is the new generation of the CZ 75 family which was first designed back in 1975 by the famous small arms manufacturer Česká zbrojovka, Czech Republic. This is the semi automatic 4.5mm (.177) airgun version fully licensed by CZ. It is powered by a 12g CO2 cartridge stored in the grip using the easy-load system and the BB’s are put in the drop-out magazine. The CZ 75 P-07 DUTY is a compact tactical upgraded version compared to the standard CZ 75. Besides being more compact in size the P-07 DUTY has an integrated front waiver rail for mounting light and laser. 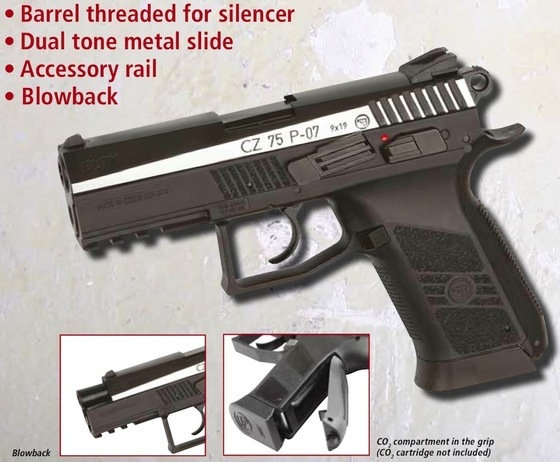 The grip and metal slide carries authentic CZ markings and every gun comes with unique serial number." Magazine: 4.5mm BB's x 20. 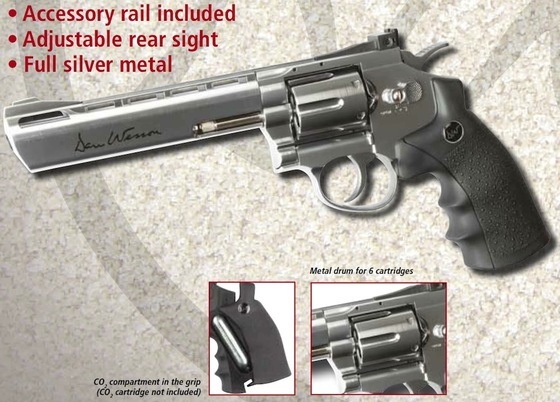 "The legendary semi automatic revolver licensed by Dan Wesson – 6” silver and 8 inch black versions. 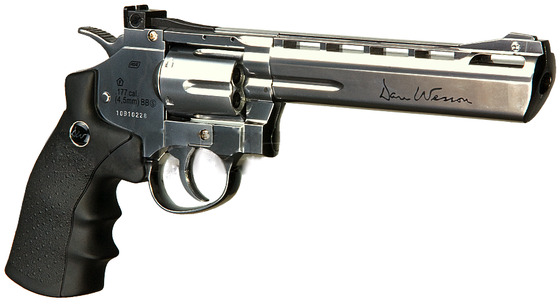 The revolver has authentic markings and an individual serial number stamped into the frame. The revolver features a double action trigger system and adjustable rear sight for extra realism and accuracy. 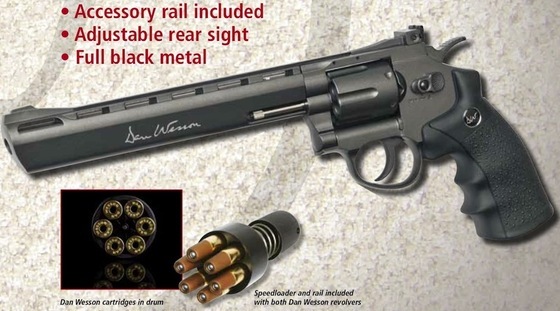 The Dan Wesson revolver is made of metal except for the ergonomical grip constructed in hard ABS plastic. The 12g CO2 cartridge is stored under the grip and is easily accessed by sliding the grip to the side – easy-load style. Each of the 6 cartridges holds one BB and is placed in the metal drum that rotates as each round is fired. 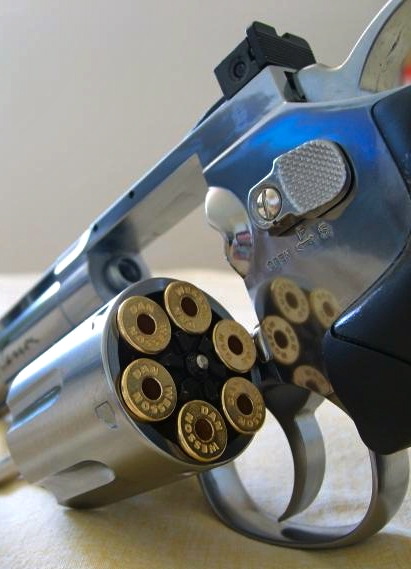 The revolver comes with a speed loader, changeable tactical rail and 6 cartridges." Magazine: 4.5mm BB's x 6.